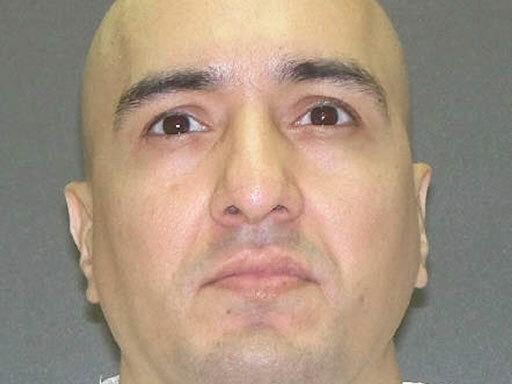 HUNTSVILLE, Texas (CBS/AP/KHOU) Tonight, Peter Anthony Cantu will be executed for two of the most notorious deaths in Houston history, the 1993 rapes and murders of 16-year-old Elizabeth Pena and 14-year-old Jennifer Ertman. Of the six people convicted for the heinous crimes, five were sentenced to death. Two who were 17 when the girls were killed were spared the death penalty when the U.S. Supreme Court barred execution of people who were under 18 when they committed their crimes. The person not sentenced to death, 14 at the time, got a 40-year sentence. Cantu has been on death row longer than his victims were alive. The girls were raped and murdered by the gang members in a field near T.C. Jester Park in northwest Houston. Their bodies were found four days after they were murdered. "I'd like to have heard, the last 17 years, someone say 'I love you, dad.' I ain't ever gonna hear that again, that hurts," said Randy Ertman, the victim's father. Jennifer would have turned 32 this week. Outside the girls' school, Waltrip High, death penalty opponents were calling for a halt to all executions in Texas. "Life without parole is a better alternative, both for society and better from the viewpoint of punishing the individuals," said Scott Cobb of the Texas Moratorium Network. Ertman, however, doesn't agree with that viewpoint. "He should have been hung outside the courthouse," Ertman said in an interview with The Associated Press. "I don't mean this in a gruesome way, but if they want to make the death penalty a deterrent, up in front of [Houston] City Hall, they've got all these beautiful trees. They should have hung them. If they hung all five of them, that would be a deterrent." "We're looking forward to Peter Cantu being executed so he can never murder or hurt anybody again," he said. On a June night, the two girls were hoping to beat an 11:30 p.m. curfew by taking a shortcut home to Pena's northwest Houston neighborhood. They were crossing a railroad bridge when the gang, drinking beer and initiating a new member, spotted them. One of the gang members grabbed Pena. She screamed. Ertman tried to help. A tip led authorities to the bodies. And Cantu's brother, upset at the gang's gloating about having fun with the girls, called police. Cantu, then 18, orchestrated the attacks and slaying. "He has matured remarkably," said Robin Norris, his appeals lawyer. "He's a guy who fully accepts his responsibility." At his sentencing for the Ertman-Pena case, the judge asked Cantu if there was any reason the sentence shouldn't be imposed. Jennifer's father made the drive here four years ago for the first execution. Derrick O'Brien, belted to a gurney, looked through the death chamber window at Ertman and other relatives of the girls and called his involvement "the worst mistake that I ever made in my whole life." Seven minutes later, O'Brien was dead. Ertman rejected an invitation from Cantu's lawyer to come to his office and read a letter of apology from Cantu. "It's a little late," Ertman said. "I told him to stick it. Hell, no."